If you’re like 75 percent of Canadians, you’re probably in debt. In fact, according to data recently released by Equifax, total Canadian consumer debt has climbed past $1.8 trillion in the fourth quarter of 2017, with the average debt owed per person reaching an all-time high of $22,837. Unfortunately, paying off debt isn’t an easy task, and you’ll no doubt face challenges, setbacks, and temptations along the way. 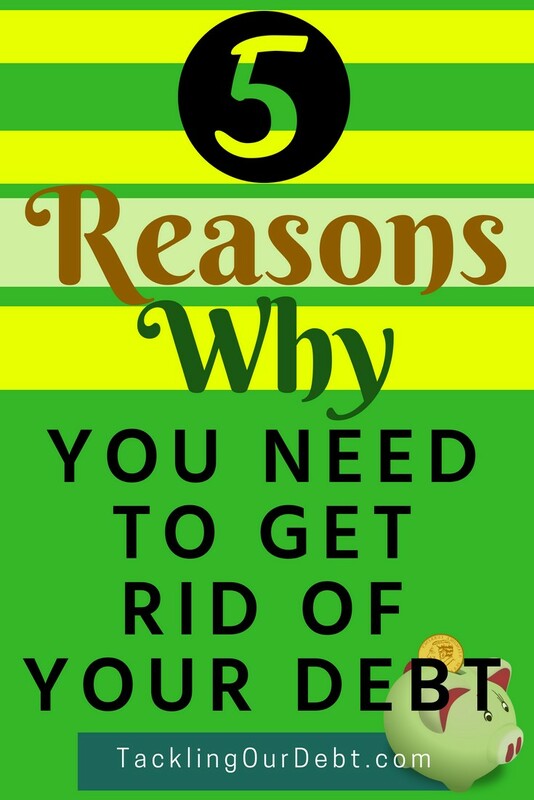 To help you stay motivated on your journey to being debt free, here are five reasons why you need to get rid of your debt. 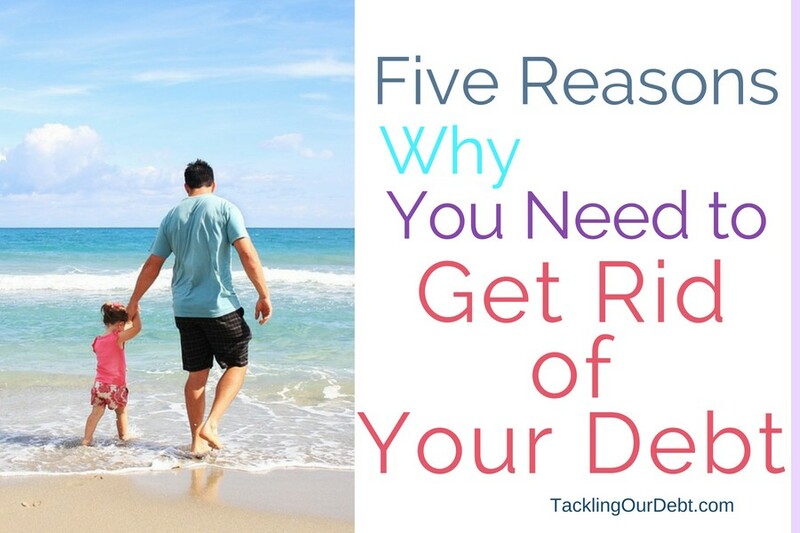 Whether you realize it or not, debt poses a serious threat to your financial security. Having debt prevents you from being able to make the most out of your money. When you eliminate your financial burden, you can start putting the extra money away for a rainy day, your retirement, or pay for your kid’s education. Then, when you become debt free, you can start to work on becoming financially secure. Having substantial debt can lead to an increase in stress. With rising interests, more Canadians are worried that they won’t be able to repay their debts, according to a report released by the site Global News. Constant stress is linked to increased heart disease and other chronic conditions, so paying off your debt can help reduce your risks of developing stress-related health conditions. Holding too much debt, especially credit card debt can negatively impact your credit score. Your credit score takes a hit when you have high credit card balances, compared to your credit limit. This also applies to other loan balances that you hold. Getting rid of your debts will allow you to raise your credit score. Holding debt leaves you with less money to spend on things that you want to do in life. Unfortunately, this ends up pulling many people into a vicious cycle. Because of their debt, they can’t afford to buy things, so they use their credit cards and go deeper into debt until they finally reach the end of their borrowing rope. Paying off your debts will allow you to end this cycle and free up your money, so you can start enjoying your life and participating in the things that you enjoy. When you charge things to your credit cards or take out loans, you’re simply borrowing from your future income. This means that the money you borrow today, whether it’s $100 or $100,000, will be taken from the money you earn in the future. The truth is that when you are in debt, your future standard of living decreases because it gives you less money to live on than what you currently have. Take the appropriate steps to get out of debt so that you can make the most out of the income that you expect to earn in the future. Being in debt has, unfortunately, become a way of life for so many people. While allowing yourself to rack up debt enables you to enjoy things immediately, it can have a devastating effect on your future. Start making a plan today to get out of debt, so you can enjoy your future. PreviousProtecting Your Investment: What Makes Used Car Warranties a Good Choice?